Many people think of a pilgrimage as one of their ultimate lifetime goals--an expensive, lengthy journey to one of the world's holy sites that takes years to plan. You don't have to wait until you have saved the money and can spare the time to start benefiting from a sacred journey. You can create rewarding, simple pilgrimages close to home. 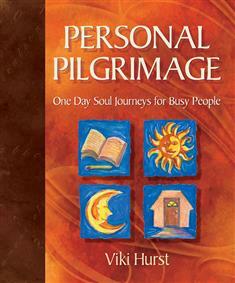 Personal Pilgrimage: One Day Soul Journeys for Busy People introduces a life-practice that fits into tight budgets and busy schedules. These short, affordable, local versions of the traditional pilgrimage rejuvenate, inspire and enlighten.